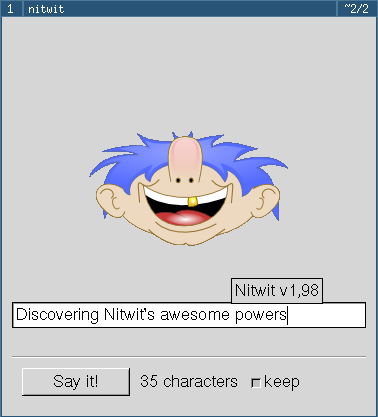 Nitwit, the cross-platform microblogging client for Twitter, Jaiku and other platforms including Jabber and IRC. You can download a preview or check the README. Comments? Code by Robin Millette. Graphics by Frédéric Guimont (Nitwit logo in SVG).